5 reasons to holiday with teens in Vanuatuwhere to next? 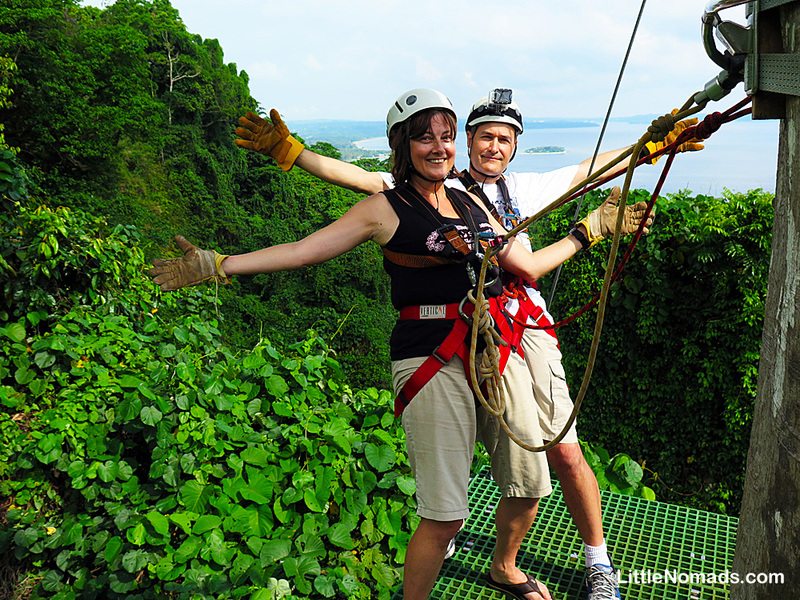 The Jungle Zipline in Port Vila takes you soaring through the canopy at a height of about four stories, through the Mele Bay and Port Vila Harbour, across the 80 metre high canyon and above a stunning waterfall. Located at the Summit Gardens and Cafe in Mele Bay, you have the choice of joining your teens as they fly through the trees, or you can sit this one out, and take a leisurely stroll through the beautiful Summit gardens. Tours run at 10:45am and 2pm. 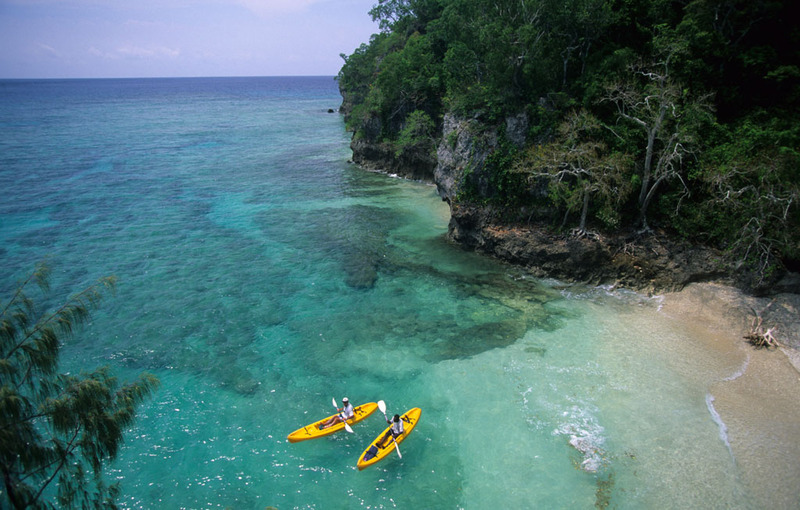 Discover Vanuatu from the water with a fully guided kayaking and snorkelling tour suited to all ages and fitness levels. There are a number of tour options including a half day kayaking and snorkelling in tropical Mele Bay. Meet Nemo and get a glimpse of the dolphins and if you’re lucky, the turtles may join you too! Picture yourself inside a huge plastic ball as it slips, slides and rolls down a grassy hill. Not for you? Certainly not for me but my teens loved this. 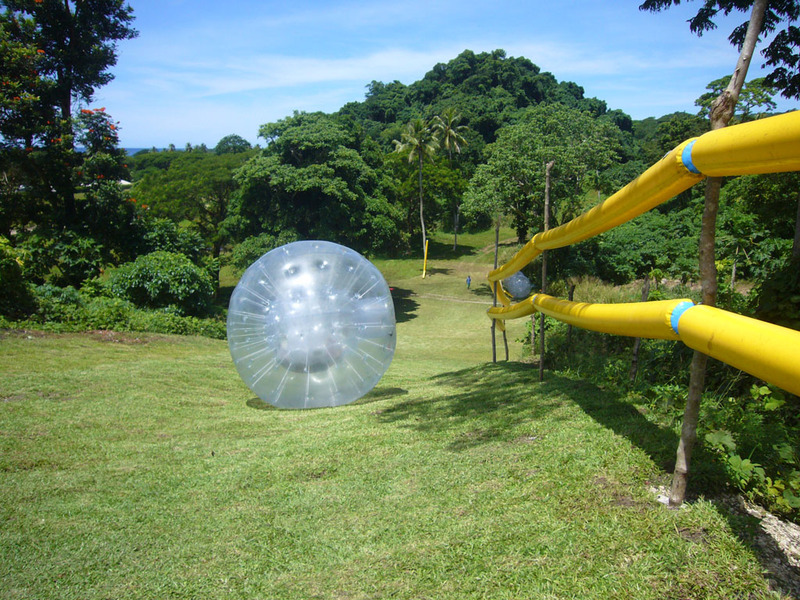 Wet ’n’ Wild in Vanuatu boasts the longest Zorb ride in the world with a 2.5 metre hydro ball transforming into a waterslide down the rolling hills of Mele. Should keep the teens occupied for an entire afternoon. Got a little speed junkie with you that hates the monotony of guided tourist tours? Choose between three different tours – a 60km beach tour; a scenic tour, where you can explore the hill side of Port Vila, or a 40 km jungle safari. The tour takes you riding through bush tracks, stopping off to enjoy a short break on a black sandy beach, before visiting a village to meet the locals. The bumpy ride starts every Monday, Tuesday and Friday from 1:30pm to 4pm and Saturday from 08:30 am to 11:00 am. So fasten your seat belt and put your foot down to the pedal. Please note: A driver’s licence is required. Explore Port Vila Bay on an exciting high-speed water tour. Take command your own Zego Sports Craft, through Bay to the most beautiful beaches of Vanuatu and around the many coves situated in the Port Vila gateway. With any luck a sea turtle or even a dugong will cross your path. To make it even more enticing for teens, Air Vanuatu has introduced a Teen Fare, offering return travel to Port Vila from Brisbane starting at AUD$415, Sydney from AUD$460 and Melbourne from AUD$479 (a saving of at least 20%). Travel to Espiritu Santo on direct International services is permitted at the same fares. Prices include all taxes and charges. Travel must be booked by 27 February and is permitted up to 4 December (15 October from Melbourne). The fares apply to young travellers 12 to 17 years of age inclusive, accompanied by an adult. Next Article Elephant Hills: glamping in Thailand’s Khao Sok National Park. Aha, I had no idea there was so much action to pack in in Valuatu. Must say it sounds like a wonderful destination, and close and easy from Sydney too. Noted! I did of course forget to mention another reason to take teens there – diving! Doh! It’s actually the first time I’ve seen an airfare deal for teens – I hope I see it again! Deborah thank you for sharing! What a lovely article and the photos are amazing too! I love how you put together these information on “5 reasons to take your teens to Vanuatu”. Easy to read, very relatable and great tips! Can’t wait to read more!